Sir Isaac is now online! Bravo to Cambridge University, for putting 4,000 of Sir Isaac Newton's papers online, expanding the world of the virtual museum, and making available for people these most important works. Humanity would never have been able to reach the stars if not for the ground breaking work of Sir Isaac. (Remember the line from the Apollo 13 movie?) 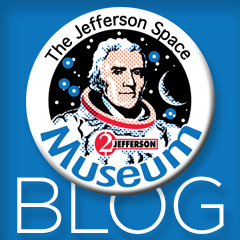 The Jefferson Space Museum welcomes this virtual effort!